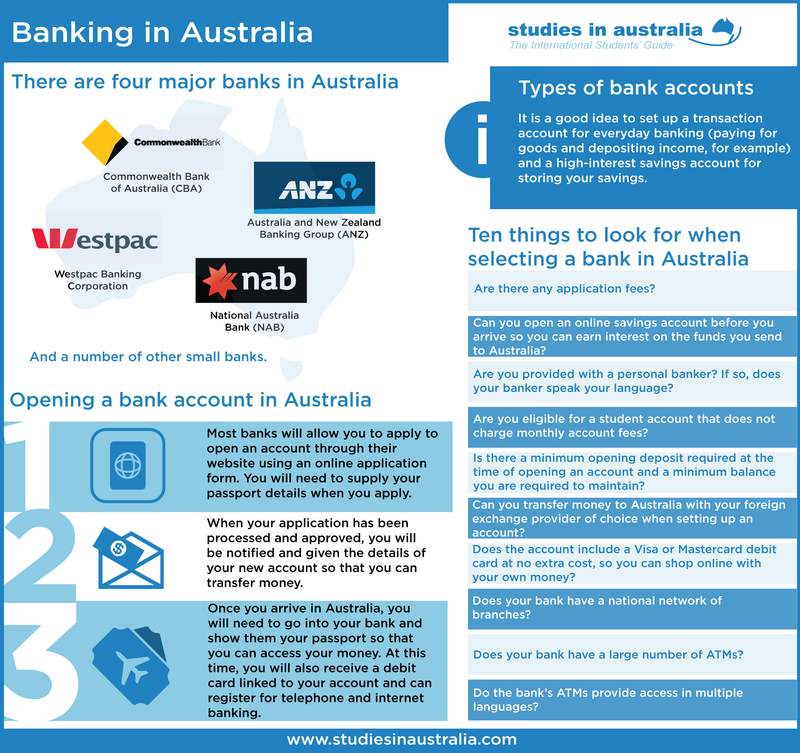 Banking will be a vital part of your life in Australia, so it's important that you understand the Australian banking system and know how to set up and maintain your finances. It is a good idea to set up a transaction account for everyday banking (paying for goods and depositing income, for example) and a high-interest savings account for storing your savings. You may also wish to open additional accounts to divide your money for specific purposes (such as paying rent or saving for travel). Some transaction accounts give you the option of using additional services such as a personal cheque books, these are commonly known as cheque accounts. Do the bank's ATMs provide access in multiple languages? 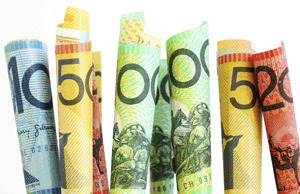 Australia,s currency is the Australian dollar (AUD). There are bank notes for $5, $10, $20, $50 and $100; gold-coloured coins for $1 and $2; and silver-coloured coins for 5 cents, 10 cents, 20 cents and 50 cents. Prices are rounded to the nearest 5 cents when you pay (for example, $2.93 rounds to $2.95). Banks are usually open during business hours from 9.30 am to 4 pm Monday to Thursday and 9.30 am to 5 pm on Fridays. Some banks and branches may stay open longer or open on weekends. Bank branches allow you to transfer money, open accounts, cash travellers cheques, order bank cheques and exchange currency, among other financial services. Automatic teller machines and telephone and internet banking (see below) allow you to make some transactions after hours. ATMs are available throughout Australia, allowing you to withdraw cash, check your funds and, in some cases, make deposits. Note that fees generally apply when withdrawing funds from another bank's ATM (usually around AUD$2) and when using international cards. Cheques (linked to a transaction account): Some people request a personal cheque book in addition to a debit card to make purchases using money from their transaction account. Cheques are accepted for payment in some circumstances, typically for larger payments such as a rental bond for accommodation. 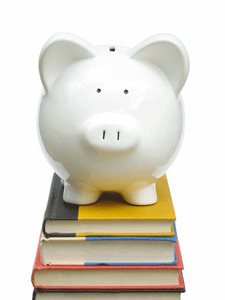 If you do not have a personal cheque book, you can still make a cheque payment using money from your transaction account by going into a bank branch and requesting a bank cheque.